Muslims arriving at mosques in Norway’s northern county of Finnmark this week were met by placards calling for “revolution” against Islam. The offensive notices promoting a right-wing extremist organization were also found on public buildings and schools in Alta and Sør-Varanger. The notices appeared just days after a heavily armed ultra-right-wing extremist opened fire inside two mosques in Christchurch, New Zealand last Friday. 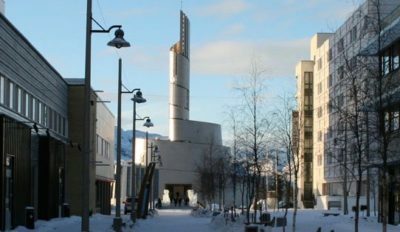 Norwegian police have already boosted patrols around local mosques in an effort to make worshippers feel more secure. Police in Finnmark said the notices pasted onto several buildings around Finnmark will be investigated as hate crime. “We’ve been concentrating on radicalization and violent extremism in the districts and have had special contacts in the Finnmark Police District since 2015,” Kjell Andreas Bjerke, who’s among the contacts, told NRK. That’s when an influx of asylum seekers crossed the border from Russia into Finnmark, while thousands of others arrived farther south in the country. Bjerke added that police have specific methods for trying to control violent extremism, and try to seek out people with extreme attitudes before any violence occurs. Police will also be present during Friday prayers later this week. Omar thanked the local police for their concern and protection. He thinks those who slapped the notices on the mosque’s door are acting alone and not part of any large organization in Norway that wants to harm Muslims.